Book Description: Write Here, Right Now: An interactive Introduction to Academic Writing and Research utilizes PressBooks to create and host a writing e-textbook for first year university students that would effectively integrate into the flipped classroom model. Why Construct an Essay Blueprint? Complete the Essay Self-Evaluation of Your Two-Storey Thesis Below. 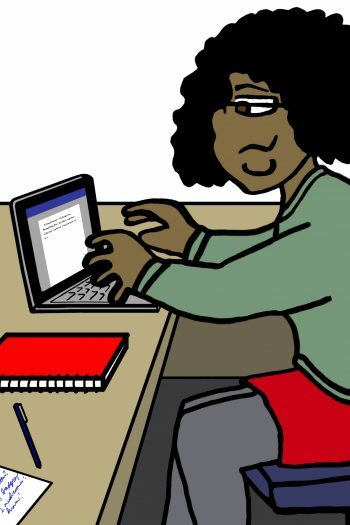 Write Here, Right Now: An interactive Introduction to Academic Writing and Research utilizes PressBooks to create and host a writing e-textbook for first year university students that would effectively integrate into the flipped classroom model. The textbook could also be used for non-flipped classroom designs, as the embedded videos, diagrams and linked modules would act as an all-in-one multimedia textbook geared towards multiple learning styles and disciplines. The components of the textbook, including the embedded videos, could be swapped in and out in order to accommodate a professor’s best idea of his/her own course design. Write Here, Right Now: An Interactive Introduction to Academic Writing and Research by Ryerson University is licensed under a Creative Commons Attribution 4.0 International License, except where otherwise noted.